The long wait is over. Vento Solare was launched at Borden Light Marina on 11 April. We’ve been ready for over a week but had to wait for a boat getting a new engine that was blocking the travel lift. As soon Vento Solare was launched, a quick sea trial was run to perform initial calibration on the new instruments and autohelm. Everything works great. Many tasks were accomplished over the winter. Some notable projects include: all new B&G instruments and Autohelm, new lifeline cushions so the crew may hike more comfortably, all winch drums resurfaced and added Expedition software to laptop for race planning and instrument calibration. 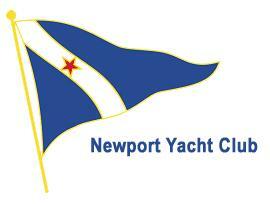 The 3Di main and cruising jib are bent on so Bill & Larry can deliver the boat from Borden Light Marina to the Navy Marina on Friday 12 April. Our first pleasure sail will happen on Saturday. Many of the spring clean up tasks happened over the past week while waiting to launch. Vento Solare is in great shape to start the 2019 season. Thanks very much to Cheryl & Mike Marrone for hull waxing, Sam Goldblatt for wet sanding and Larry Bissonnette for helping with boat projects and delivery.